Review by brian todger, 31/10/2016. I've enjoyed and served many Prosecco wines but this one has always come out top. In my opinion, a good Prosecco should be light, delicate in flavour with soft bubbles and this ticks all the boxes. It is perfect with a dash of limoncello and raspberries. 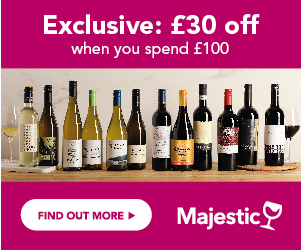 Fantastic value especially when on offer as when I bought it! Review by Mary Armstrong, 06/10/2015. A nice Prosecco which is sweeter than most and to my taste - better than champagne in my opinion. Waiting for a good deal on Balliamo Italia Prosecco Brut NV? Enter your email address below and we will email you when it's on offer at 25% off or more! The Wines Direct Price Alert is a free service. In return, we just ask you to write a short review of Balliamo Italia Prosecco Brut NV to help other customers learn about it.